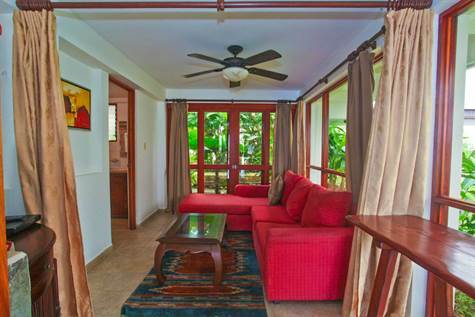 Jaco, Puntarenas – This condo is approximately a 3 minute easy stroll to the sand at beautiful south beach Jaco, Costa Rica. Club del Sol is a very popular, established, high end development with great ROI for condo owners in the rental program. In line with the current Buyer’s Market, this unit is priced to sell quickly by a motivated Seller. This Condo is offered “turn key” with all furniture and appliances, and property is in impeccable condition. 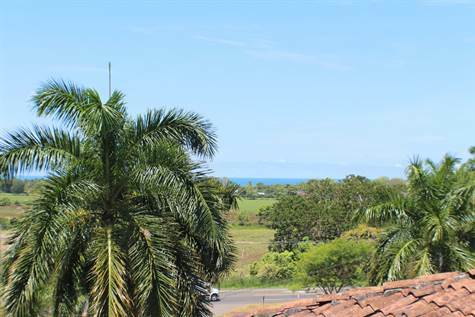 Jaco, Puntarenas – This second floor unit is a 2 bedroom/2 bath condo in Jaco Beach, Costa Rica, and is an excellent opportunity to own in this area at a Buyer’s Market price and with a property that can generate rental income and hold its value. Inventory at this price range is extremely limited in Jaco, and the proximity to the beach and common areas make this development a winner. This condominium development has been built and managed by a Costa Rica developer with an excellent track record with several projects throughout Costa Rica, and all units and grounds maintain their “brand new” look. Another bonus is the extremely low HOA fees (only $180 USD a month), making this one of the lowest HOA fees on the coast. There are 9 towers, each has seven floors, and with 28 condos in each tower. This project was totally sold out and this unit is the only unit I have priced under 150k. The complex is extremely popular due to the 2 huge swimming pools, large BBQ/Rancho areas, children’s playground, and with the beautiful North Beach of Jaco, just 150 meters away (about a five minute walk). Each unit includes a living room, dining area, master bedroom w. bath, guest room (or TV/office, etc), guest bathroom, laundry room and balcony with sitting area, there is also a den or sitting area, perfect for an office or library. Finishes include porcelain tiles, ceramic tiles in bathroom, Frigidaire appliances, extractor fans, granite counter-tops, washer/dryer utility room, central AC, “American Standard” bathroom fixtures, instant hot water, flat screen TV and more. 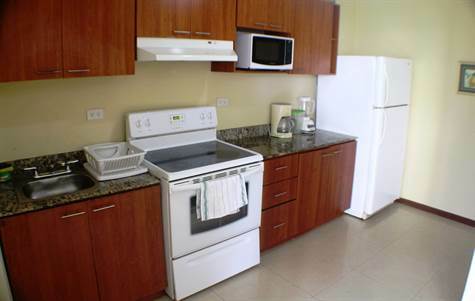 This unit has custom-built wooden furniture and is sold fully furnished and ready to go! This unit has a full time property manager available as needed as well as rental history. Please call me or write for more information! MUST SELL! Casa Maria, Esterillos Oeste, stroll to beach, W. Private Pool in Esterillos Oeste , Esterillos is Sold! Esterillos Oeste , Esterillos – The single story at MUST SELL! Casa Maria, Esterillos Oeste, stroll to beach, W. Private Pool has been sold. Posted on March 28, 2016 Author Jaco Area PropertiesLeave a comment on MUST SELL! Casa Maria, Esterillos Oeste, stroll to beach, W. Private Pool in Esterillos Oeste , Esterillos is Sold! Esterillos Este, Esterillos – UPDATE FEB. 24th, 2016 PRICE JUST SLASHED MAKES THIS AN INCREDIBLE DEAL AT 199K! This Esterillos Este, Central Pacific Costa Rica condo is an excellent option for anyone seeking an incredible deal on a condo anywhere just 15 miles south of Jaco. This unit comes fully furnished with quality tasteful furnishings and appliances, as well as being in excellent shape and turnkey. Location is on a bluff overlooking the rolling hills of Esterillos where the picturesque countryside meets the Pacific Ocean. There are great views from the private terrace areas as well most of your windows! Including the bedrooms. There are two large main bedrooms, the master includes an en suite bathroom and walk in closet, as well as a smaller third “maid’s quarter’s” bedroom with it’s own bathroom. This condo has a beautiful foyer entrance leading up to the condo as well as a spacious carport. There is ample storage as well as a community pool and beach club at Hotel Monterey in Esterillos Este. 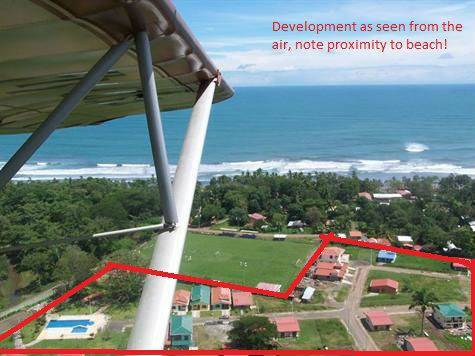 This area is located approximately 20 minutes south of Jaco and 30 minutes north of Quepos. This is a quiet, very scenic area, resplendent with flora and fauna as well as wildlife. Development features 24 hour security and “headache free” ownership. 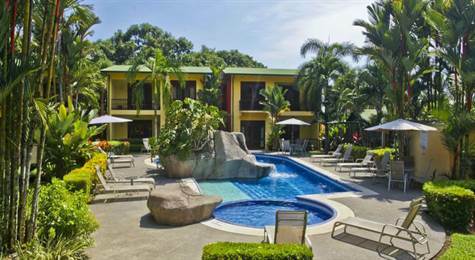 Please call or write for information regarding this beautiful Costa Rica condo. Jacó, Garabito – Announcing a price drop on T2-2/2 Jaco Bi-Level Beachfront, Master Bdrm Balcony Ocean Views, BEAUTIFUL, a 1,033 sq. ft., 2 bath, 2 bdrm single story. Now $350,000. 25% down takes it! • 1,033 sq. ft., 2 bath, 2 bdrm single story – $350,000. 25% down takes it! Jacó, Garabito – Imagine happy hour on your balcony, your kids playing in the swimming pool below (or perhaps the kids are 2000 miles away). Bob Marley’s “Is this Love?” wafting from your master bedroom out to the balcony. Its sunset and the local Centenario rum on ice goes down as smooth as the setting tropical sun. A pair of Scarlet Macaws flies overhead and disappears over the jungle covered hills, squawking as they go. The stars begin to appear as the last surfers come in from the surf. An iguana peers at you from the crown of the coconut palm in front of your balcony. It’s 80 degrees and it’s January, back home they are scraping ice off their windshields. Is it a dream or did you finally buy that Costa Rica condo of your dreams?! This could be the one. An amazing front row, bi-level, 2 bedroom, 2 bath, beachfront condo for sale in beautiful Jaco, Costa Rica, sold fully furnished and with financing offered with 25% down. This is a great option for families both as an owner or for rental income. This condo features living room, kitchen and guest bedroom, on the ground floor. This is beachfront and just steps to the pool, but also has a second level that’s perfect for views and privacy. This fully equipped condo is sold “turn-key” and ready for you! The ground floor living room and kitchen area opens up to a large private patio just steps from the pool, and on the second floor, there is a glorious master bedroom with balcony. Perfect for sunsets and watching the beach life. This condo community has four swimming pools, one very large interior pool, a lap pool, a kids’ pool and a fourth smaller pool as well. All pools have lounge chairs and common areas that include outdoor showers, BBQ rancho, and waterfall feature. There is an unobstructed views of the beach at South Jaco (arguably, the prettiest area), which is basically your front yard! There is a brand new boardwalk being installed at this time (February 2016) right in front of this complex and proximity to downtown Jaco, either by walking the beach or driving, is just a few minutes. This is condo living in Jaco, Costa Rica at its finest. Give me a call or write and let’s discuss further! Time to make the dream happen. Jacó, Garabito – Announcing a price drop on T2-2/2 Jaco Bi-Level Beachfront, Master Bdrm Balcony Ocean Views, BEAUTIFUL, a 2 bath, 2 bdrm single story. Now $350,000. 25% down takes it!